A video commentary by Bill Donaghy of the Theology of the Body Institute, Here is the second in the series of 12 short videos on art by Bill Donaghy of the Theology of the Body Institute in Philadelphia. 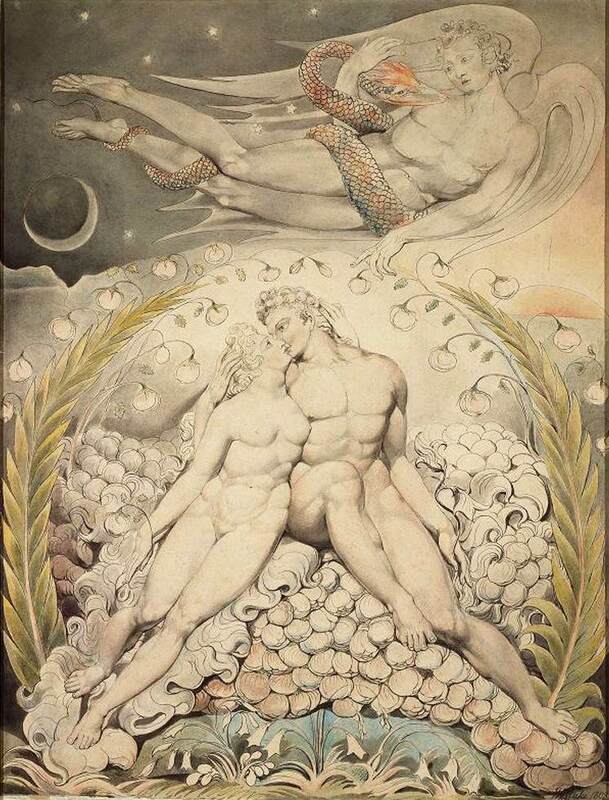 This week and next he discusses two paintings by William Blake the poet and artist. In this case, he discusses illustrations to Milton's Paradise Lost. First is Satan Watching the Caresses of Adam and Eve. This is appropriate to the subject matter and consistent with the ideas of John Paul II because he stated that in his view the Greek ideal might be the starting point for the art of the Theology of the Body. Here is the video: https://youtu.be/SER00LywujY It was recorded in April last year and so the course that Bill refers to is past, but I would encourage people to look for courses in the coming year. His approach to art and beauty is fully in harmony with that of Pontifex University and my own Way of Beauty book.